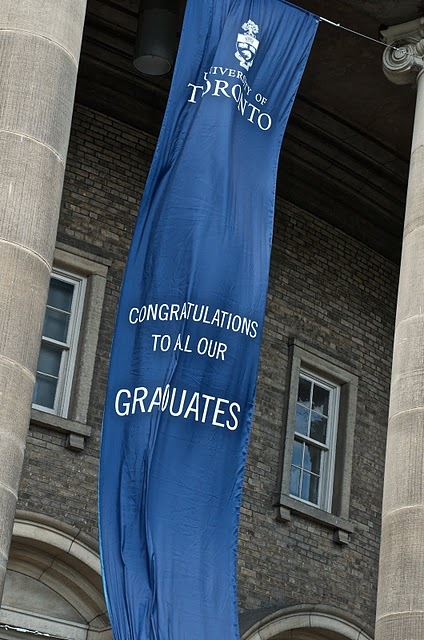 The University schedules three graduations each year (June, November and March). June graduation: If program requirements are completed and grades received by the SGS deadline in April. November graduation: If program requirements are completed and grades received after the SGS deadline in April. Students who have completed program requirements by the end of the Fall Session and meet the SGS deadline for grade submission can elect to graduate in March (in absentia) and have the diploma mailed at the end of March (there is no formal convocation ceremony in March) or wait until June to graduate and receive the diploma at the June convocation ceremony. Please visit the Office of Convocation web site for information about gown and hood arrangements, ordering tickets, ceremony dates, etc. prior to graduation.